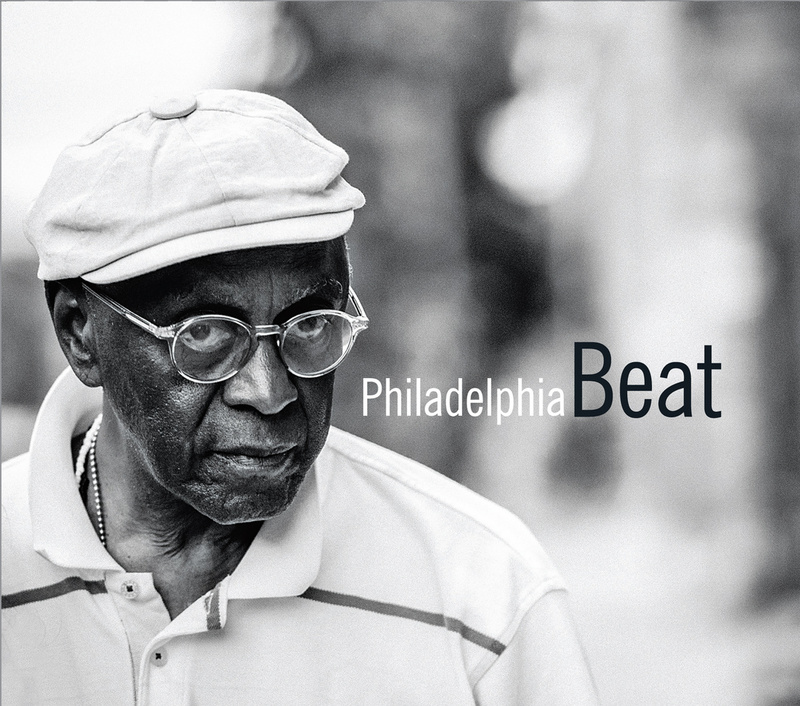 Philadelphia Beat, available on Sunnyside Records. All Beat photos by Michael Perez. The booklet of Philadelphia Beat includes new and vintage photos, some track-by-track liner notes by me, and the following commentary by drummer/historian Hyland Harris. It was one thing just being around Tootie and watching him up close… his every move, every observation, and of course every joke that rolled off of his lips. That was already enough to send me back into the shed and rethink everything. However, it was the Clef Club get together that did me in. You know there is this undying effort to whiten up the history of jazz. It just refuses to go away. My retort was always… look at the great Migrations… black people took an evolving culture with them and this is where all of these strong jazz communities flourished. How many jazz musicians came from Salt Lake City? Years ago I hung around Bob Hurst and Jeff Watts saw them constantly trying to (humorously) one up each other with the Detroit vs Pittsburgh jazz wars… this is when I began to notice these regional differences are really minor. The commonality was more important: jazz was a big deal in these working class black communities and these communities nourished and continually produced talent. Unlike today’s musicians these musicians were socialized in this environment and in the greater world. 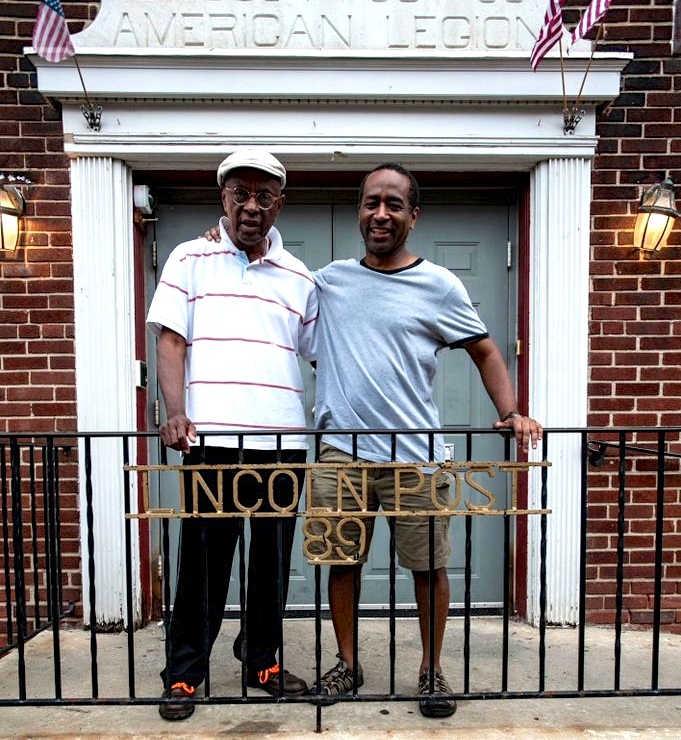 Trane and Tommy Flanagan played dances and R ’n B gigs; they were also drafted into military service, got married young and lived in these communities. It came together for me seeing Tootie and Roker and Buster — three of the baddest muthafuckers on the planet — talking everything from paratrooper experience to doing gigs with Sonny Stitt weeks out of high school. Any performance we enjoy by these musicians is not just a testament to how great of an artist these guys are but also the community that produced them. The above list of Philly jazz cats represents the fruit of a community. However we should also think of the names we will never hear about: the bakers, laborers, construction workers, house cleaners, doctors, and lawyers who were the fabric of that community. Without them, Tootie and Buster would not have anyone to play for. 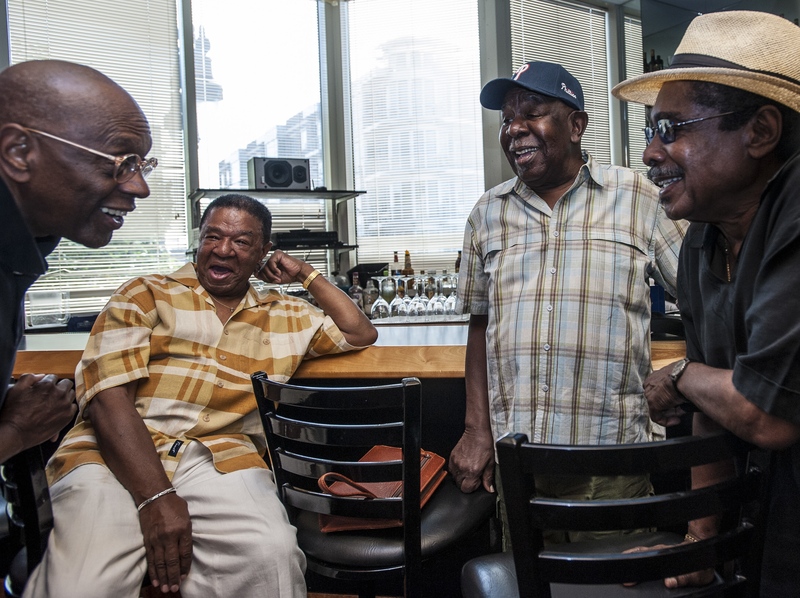 On September 6, 2014, between sessions for this album, Tootie met some old pals and associates at the Clef Club, the first black musician’s union in the city. The closest friends Tootie still has in Philadelphia are Sam Reed and Billy Bonner (better known as Fundi). Among other things, Sam was the musical director for Teddy Pendergrass for many years. 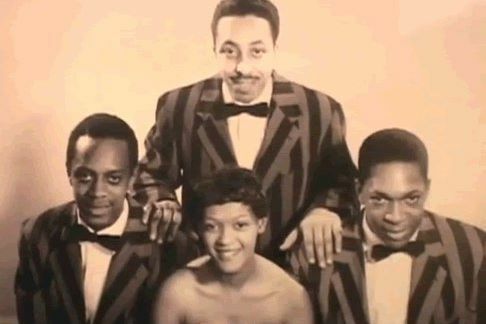 Fundi wasn’t a player but rather a proficient carpenter; eventually he would go to be tour manager for Herbie Hancock during the Mwandishi years. (Tootie got Fundi that gig.) 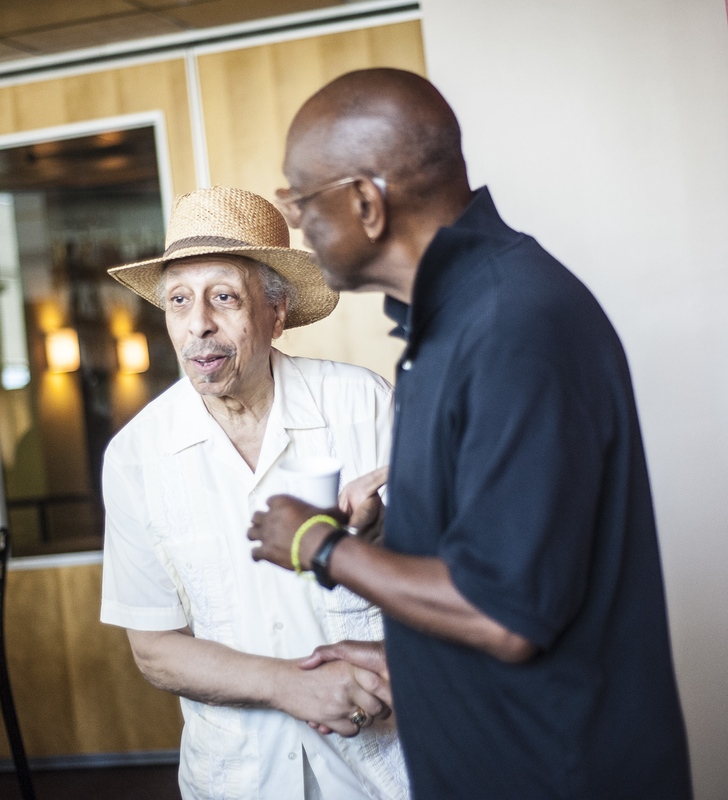 Others coming to the event included Buster Williams, Mickey Roker, Bill Carney (who led the Hi-Tones with Tootie, Coltrane, and Scott) and additional friends and family. 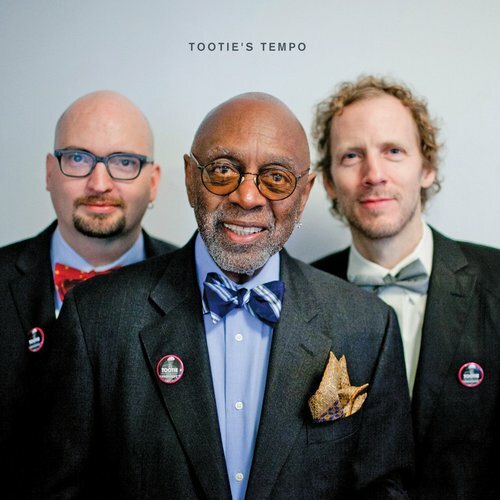 Albert Heath/Ethan Iverson/Ben Street: Tootie’s Tempo, released on Sunnyside Records in late August 2013. Photo by John Rogers. Albert Heath is the youngest of three powerful jazz brothers from Philadelphia. While still a teenager he was backing up visiting New York artists like Lester Young and Thelonious Monk. After moving to New York, he was with J.J. Johnson, the Jazztet, and the Bobby Timmons trio, and for while made so many dates for Orrin Keepnews it seemed like he was house drummer for Riverside records. In the mid-sixties Tootie began the first of many extended sojourns in Europe: when living in Copenhagen was the first-call drummer for any serious visiting Americans like Dexter Gordon and Jackie McLean. He was a crucial member of one of Herbie Hancock’s first touring bands (the Hancock album The Prisoner is canonical) before joining one of Yusef Lateef’s most important groups. Since moving to California in the early ‘70s he has played less in NYC than most of us wish, although he keeps turning up with The Heath Brothers once or twice a year. An endlessly open musician, Tootie sounds comfortable on records with Ben Webster, Anthony Braxton, and Roscoe Mitchell; his own first album Kawaida is the only studio meeting between Don Cherry and Herbie Hancock. Recently he was the founder of The Whole Drum Truth, a provocative series of concerts showcasing percussionists in solos and ensembles. Diverse résumé aside, Albert Heath remains at his core a classic bebop drummer. Today he is one of the few left who learned bop from the streets, not the schools. It is a wonderful honor and responsibility for Ben and me to share the stage with him. 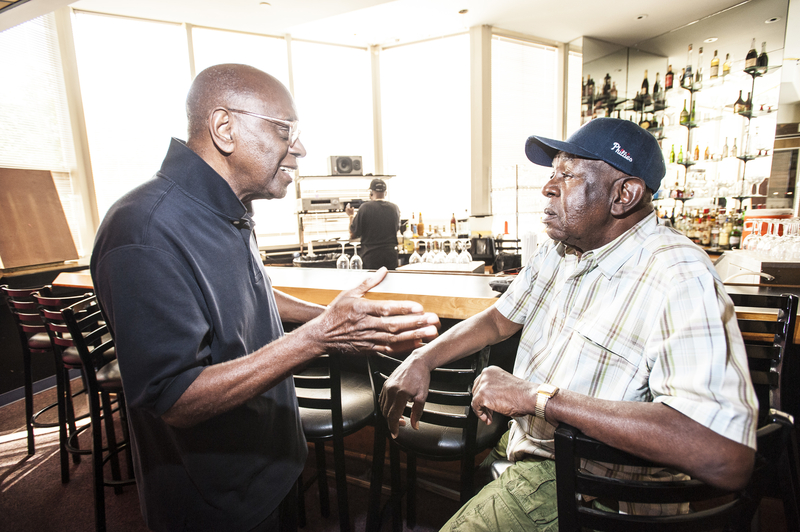 Related DTM: Interview with Tootie Heath. Time Out NY review/preview by Hank Stheamer. Chicago Reader review by Peter Magarsak. All Things Considered at NPR by Tom Moon. Music and More by Tim Niland. Larry Blumenfeld listens to record, gig, and interviews me about Tootie. NPR All Things Considered review by Tom Moon. NYC Jazz Record review by Seth J. O’Connell. DownBeat 4 1/2 star review by Ken Micallef. Tootie is the cover story by Giovanni Russonello in the November 2013 JazzTimes. 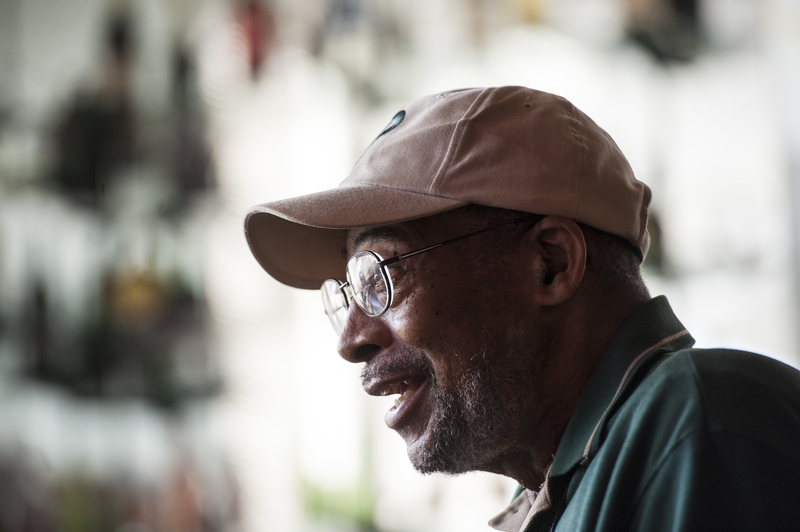 As everybody who’s met him can attest, Albert “Tootie” Heath is a natural storyteller. Now on offer is a special educational event perfect for schools and workshops. Tootie’s Tempo: A Drum Story is a unique multimedia journey that follows the migrations of drums and rhythms – from Nigerian talking drums to the innovations of jazz greats like Elvin Jones and Tony Williams. Designed for live presentation, it features as presenter the legendary Albert “Tootie” Heath. Heath’s presentation is a rich narrative combining commentary and explanation of each of the diverse drum phases he has selected, such as: Batá drums, New Orleans parade music, and early big band percussion. Told through his one of a kind, engaging, and humorous lens, Tootie’s Tempo: A Drum Story is filled with moving personal anecdotes from Heath’s experiences contributing to some of the most integral decades of jazz. In this intimate and personal setting, participants will also be treated to live demonstrations of various rhythms, revealing their timeless power. Rare audio and video samples from the drummer’s own archive will be used to enrich the multimedia experience. The presentation, lasting about an hour, is designed with some flexibility in mind, allowing Heath to tailor it to different audiences depending on their musical backgrounds, age, and interests. Perfect for students of all instruments, lovers of music, and anyone with an interest in history. Tootie’s Tempo: A Drum Story can be booked through Vahagn Khachaturian of SoulPatch Music Productions. A short sampling of the presentation (minus Heath’s dialogue and drumming) is viewable at flowvella.com/s/3g5b.